Brontos have been super stars this week and we have been practicing super hard for our performance next week. We performed for our friends the Pachyos which was really fun and now we are really excited about going to the big stage! We celebrated Children’s day also this week with some water play fun and some activities in our classroom. 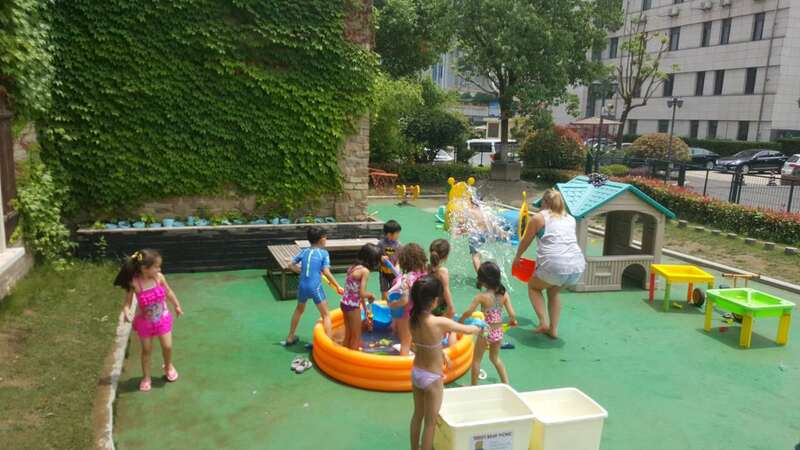 We absolutely loved water play and thought it was great to get teacher Natalie completely soaked. We have also continued with some revision and making some beautiful art work for our portfolios. We can’t wait to show you at the end of the year! Don’t forget our end of year performance will be on Wednesday 8th of June. Please drop off your child at SEIPS at the normal time then parents make your way to the Benz Arena. The Performance will start at 10 and Finish at 12. Straight after the Performance all Children need to be picked up by their parents from the stage. WEDNESDAY 8th is a half day only. There will be No Lunch and all children should be picked up at the Arena at 12 o’clock. Please Let the teachers know if you require more tickets, you will need them for the performance. There will be no school on Thursday 9th June for Dragon Boat festival. Friday 10th June is a normal School day. 13th-16th will be our last days of school before we finish the school year. Our last day will be Thursday 16th, June. We hope you have a lovely weekend and look forward to seeing you all next week!